The big crude sector news for Tuesday fed into fears that some nations will upset global supply and demand by producing all-out, with Libya announcing that production at its El Sharara oilfield has resumed and will reach initial production of 80,000 barrels per day (bpd). The news dovetailed with disclosures from Exxon Mobil and Chevron that they will ramp up oil and natural gas output from the Permian Basin in the coming years, and forecasts from analysts that U.S. crude stocks may have risen by 400,000 barrels in the week to March 1. 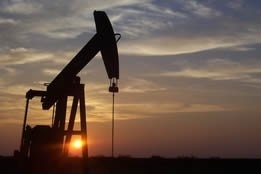 However, none of this made much of a dent in crude prices on Tuesday, thanks to ongoing trader confidence in the efficacy of the Organization of the Petroleum Exporting Countries' (OPEC) production cuts: West Texas Intermediate settled 3 cents lower at $56.56, while Brent rose 19 cents to $65.86 per barrel. While Libya's resumption of production is a fragile proposition based on that country's volatile political state, the Exxon Mobil and Chevron developments further reinforce the U.S.'s determination to dominate the global energy sector; Exxon believes it can increase output from the Permian Basin to 1 million bpd of oil equivalent, an 80 percent increase. For its part, Chevron aims to more than double its oil and gas output to 900,000 bpd by the end of 2023. Michael Wirth, chairman and CEO of Chevron, told CNBC television, "The big thing that I think has changed is the shale game has become a scale game, and so people that can do things at large scale and bring the capabilities to bear that a company like Chevron has are the ones that really can take this to the next level. "Our portfolio is stronger than it's ever been, and you don't have to look any further than the Permian to see that." Despite what is undoubtedly good news for the American sector overall, Goldman Sachs on Tuesday - which in recent days has been bullish on demand - warned that 2019's 12 percent rebound in commodities may have limited continued growth and investors should think carefully before going long on oil. In a research note, the bank declared that certain development globally "would point to even more upside for commodities, we believe that commodities have now reached a level where they are no longer signiﬁcantly undervalued relative to their current fundamentals." Goldman analysts believe fundamental supply and demand will have to drive further gains, and they're not yet sure if the figures will support a further rally.